It’s not as simple as drag-and-drop, but no screwdriver or hardware mods needed. If you managed to get your hands on an NES Classic Edition this holiday season, you may already be tired of the 30 classic games pre-installed on the system by now. Nintendo has made clear that the tiny replica NES will not officially receive new games, especially with no WiFi protocol to download them. But that hasn’t stopped budding hackers from scoffing at Nintendo’s claims and adding games their own way. This week saw separate hackers in Japan and Russia figure out soft-mod solutions to adding new games to the NES Classic. This means you don’t need to grab a screwdriver or a soldering iron to mod yours. The rest of the steps land firmly in “operate at your own risk” territory, as they require copying your NES Classic’s internal data to your computer, then modifying and adding files via an application made by hackers. Doing so, by the way, includes the dubious step of supplying your own ROM files, which you may have either dumped from your own cartridges or downloaded from other Internet users. One tool linked from that Reddit community, however, comes with two open-source NES ROMs that are in the legal free-and-clear to upload to your hardware. Once you’ve added your own game files, which should also include custom JPGs that will appear in the NES Classic’s “box art” GUI, you’ll have to repack the hardware’s kernel, then fully flash the hardware yourself. (Again, we remind you, these kinds of technical steps can result in a bricked NES Classic if anything unexpected happens.) Do all of those steps correctly, and you’ll see every single game you’ve added appear in the slick, default interface. 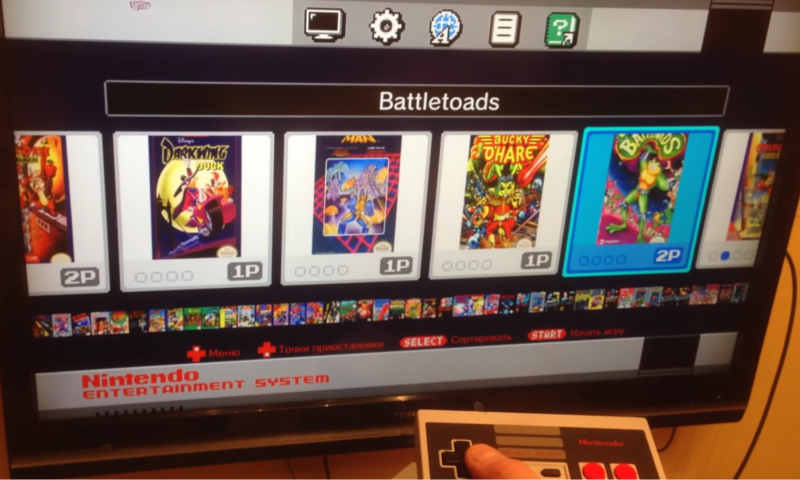 As this exploit has only been in the wild for less than a day, we’ve yet to confirm exactly how many commercial and homebrew games are compatible with the NES Classic’s default emulator. But proof-of-concept videos have already shown classics such as the Mega Man series running without a hitch. (Interesting choice of game there, considering how badly Capcom butchered a nostalgic Mega Man launch this week.) Nintendo could have coded this emulator with the most basic routines, after all, as opposed to supporting the system’s full array of capabilities and abnormalities. Modders have yet to discover the limits of the Classic’s memory or interface. So far, players who’ve exceeded the system’s shipping default of 30 haven’t reported issues with adding more; the above video shows a system with 25 additional titles, including beloved third-party hits like Contra and Battletoads. Still, this isn’t a surprising development, at least in terms of public interest in squeezing the most out of this cute hardware. But the mod’s apparent elegance and efficiency does suggest a particularly strong emulator here—which may very well drive enthusiasts to the hardware, if Nintendo ever replenishes stocks (and chooses not to block this modding method in future hardware revisions). If you never do find your own NES Classic Edition, of course, there are other ways to enjoy a similarly small-and-tidy dive into retro-gaming nostalgia.